I have a quick post for you tonight. I found a brand new (certainly tome!) challenge. Here's a link to the challenge. If you are interested, here's the story behind the challenge. I love that we are encouraged to send a card to someone who needs a little lift in their life. I seem to have a lot of people who are going through stressful situations right now, so was pleased to have another reason to create another card to send out. 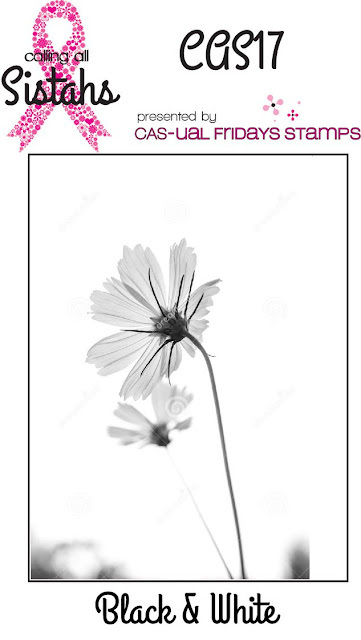 I've shared so many colorful cards recently, that I loved the idea of just using black and white. I think you will see I was very inspired by the photo! 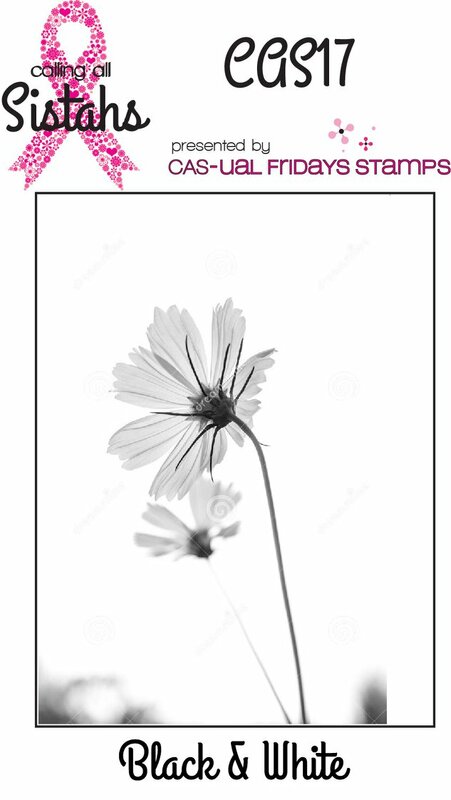 I then stamped the sweet pea images onto a piece of Neenah Solar white card stock - along with my sentiment. I foam mounted that panel onto the base and my card was complete! Other than stamping the inside of course. I decided to keep it very CAS and add no other embellishments. I really enjoyed playing with just black and white!